Situated in the entertainment district, this guesthouse is within 1 mi (2 km) of Toorak Road, Alfred Hospital, and St Kilda Road. Royal Botanic Gardens and Rod Laver Arena are also within 2 mi (3 km). South Yarra Station is only a 2-minute walk and Hawksburn Station is 17 minutes. 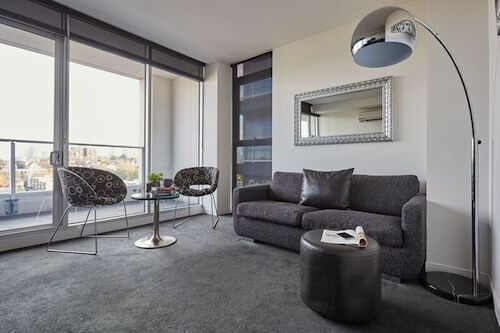 Situated in the entertainment district, this luxury apartment building is within 1 mi (2 km) of Toorak Road, St Kilda Road, and Alfred Hospital. Royal Botanic Gardens and Rod Laver Arena are also within 2 mi (3 km). South Yarra Station is only a 2-minute walk and Prahran Station is 17 minutes. Located in the heart of South Yarra, this aparthotel is within 1 mi (2 km) of Toorak Road, St Kilda Road, and Alfred Hospital. Royal Botanic Gardens and Rod Laver Arena are also within 2 mi (3 km). South Yarra Station is only a 4-minute walk and Hawksburn Station is 20 minutes. Situated in the entertainment district, this apartment building is within 1 mi (2 km) of Toorak Road, Alfred Hospital, and St Kilda Road. Royal Botanic Gardens and Rod Laver Arena are also within 2 mi (3 km). South Yarra Station is only a 3-minute walk and Prahran Station is 16 minutes. 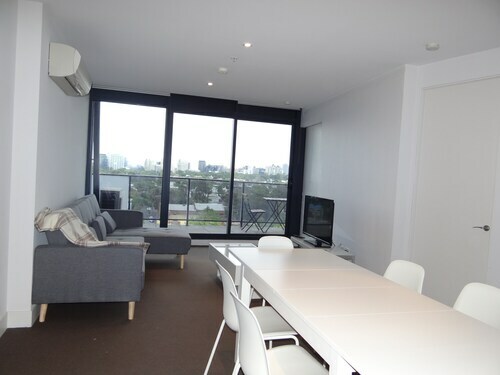 Situated in South Yarra, this apartment building is within 1 mi (2 km) of Chapel Street, Alfred Hospital, and St Kilda Road. Royal Botanic Gardens and Rod Laver Arena are also within 3 mi (5 km). Hawksburn Station is 9 minutes by foot and South Yarra Station is 11 minutes. Located in the heart of South Yarra, this apartment building is within 1 mi (2 km) of Toorak Road, Alfred Hospital, and St Kilda Road. Royal Botanic Gardens and Rod Laver Arena are also within 2 mi (3 km). South Yarra Station is only a 3-minute walk and Hawksburn Station is 18 minutes. 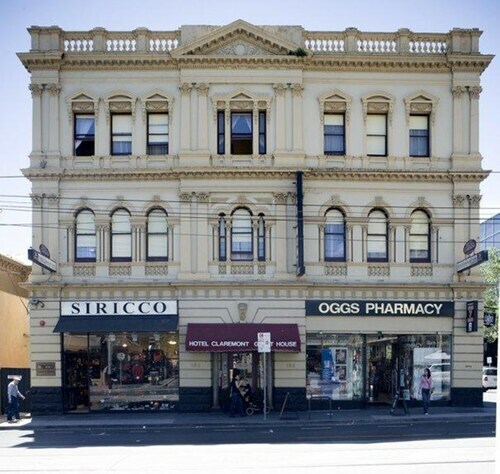 Situated in the entertainment district, this luxury hotel is within 1 mi (2 km) of Chapel Street and Alfred Hospital. Royal Botanic Gardens and Rod Laver Arena are also within 2 mi (3 km). South Yarra Station is only a 5-minute walk and Hawksburn Station is 15 minutes. 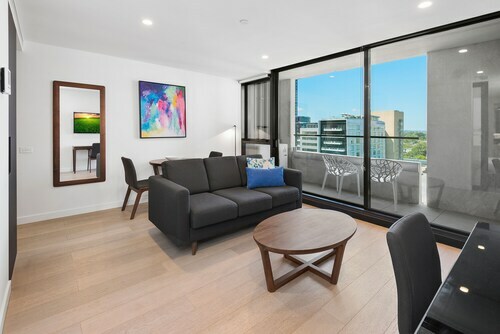 Located just four kilometres from the Melbourne CBD, South Yarra is an ideal starting point for you to check out this amazing city from. It’s one of its oldest suburbs and to this day remains a busy centre of activity. If you’re looking for somewhere to stay in Melbourne, try one of our South Yarra hotels, which include family-friendly rooms and rooms for four or more people. With some of Melbourne’s most upmarket suburbs nearby including Richmond, Prahran and Toorak, South Yarra is a terrific place for fashion, dining, nightlife and other activities. For a shopping experience with a little history, check out The Jam Factory on Chapel Street. Once an actual jam factory, the building transformed into a shopping centre in 1979 and has since evolved into South Yarra’s most popular entertainment destination. Catch a movie at the cinema, go shopping for new clothes or grab a bite to eat – maybe even something with jam on it. But that’s not the only place around to shop. The Como Centre offers upmarket retail stores and classy cafes. If you’re looking for local flavour, Prahran Market operates every Sunday with fresh speciality foods provided by Victorian farmers and family-owned businesses. So make sure you book a hotel room with a kitchen included! The Ganache Chocolate has decadent chocolates, macarons and handcrafted pralines for you to indulge in for dessert. The perfect romantic gift, even if it’s a gift to yourself! If you feel like a pleasant walk or cycle, The Capital City Trail follows the path of The Yarra River and forms part of a 32-km loop around inner-city Melbourne. You can see what people mean when they say this city is bike friendly! Of course, you’ll be in the mood for delicious food at some point. Luckily South Yarra delivers on that front too, with some unique dining experiences thrown in. France-Soir, South Yarra’s own Parisienne brasserie, features a wine list longer than 40 pages, French-speaking waiters and the chance to spot a rock star now and again. Bridie O’Reilly’s is Melbourne’s traditional Irish pub with food, drinks, live music and sport on the big screens, while Insieme on Toorak Road features exciting international cuisine. The rest of Melbourne is easily accessible from South Yarra. Catch a bus, train or one of the city’s iconic trams into the CBD, or cross one of the several bridges that leads into neighbouring Richmond, such as the pedestrian-only Morell Bridge. 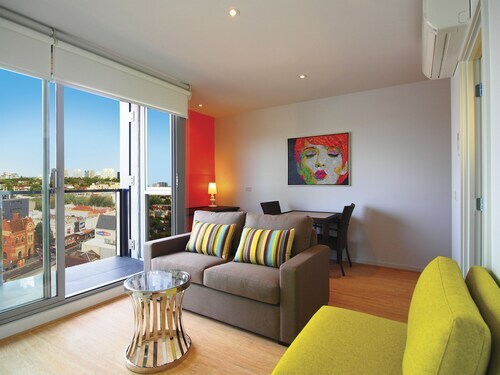 The city is waiting for you to dig in and explore it, so book your South Yarra accommodation with us and save! How Much is a Hotel Room in South Yarra? 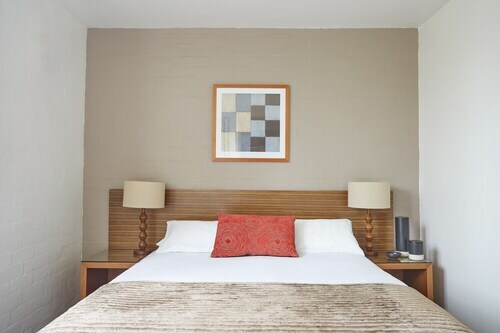 Hotels in South Yarra start at AU$31 per night. Prices and availability subject to change. Additional terms may apply. The staff were excellent. The amenities were incredible - fabulous pool. 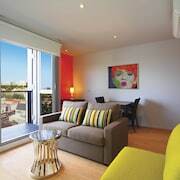 The room was perfectly styled and had the most comfortable bed & pillows. Terrific bathroom with great shower - just ideal.